Yep, I finally got my white slip covered furniture. Can you even believe it???? If you’ve been around here any length of time, you know that was no small feat! My husband LOVED his leather and I have to agree, it was super comfy, but it was time to go. He finally agreed and seems pretty happy with the new stuff. 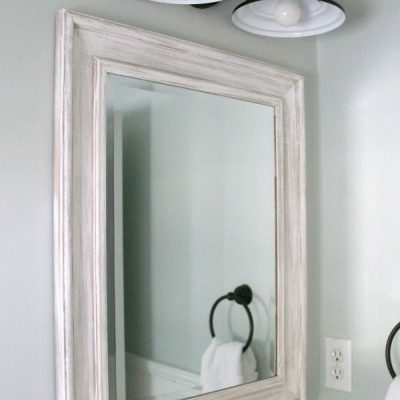 I’m also sharing our new paint, (Sherwin Williams Sea Salt, I LOVE it!) other new furniture pieces and kitchen plans. Here’s the now empty wall as we are just opening up the boxes the Ikea Ektorp pieces came in. It’s not a very big space. We squished our old sofa here to fit. So with that, let me preface this by telling you we went smaller. 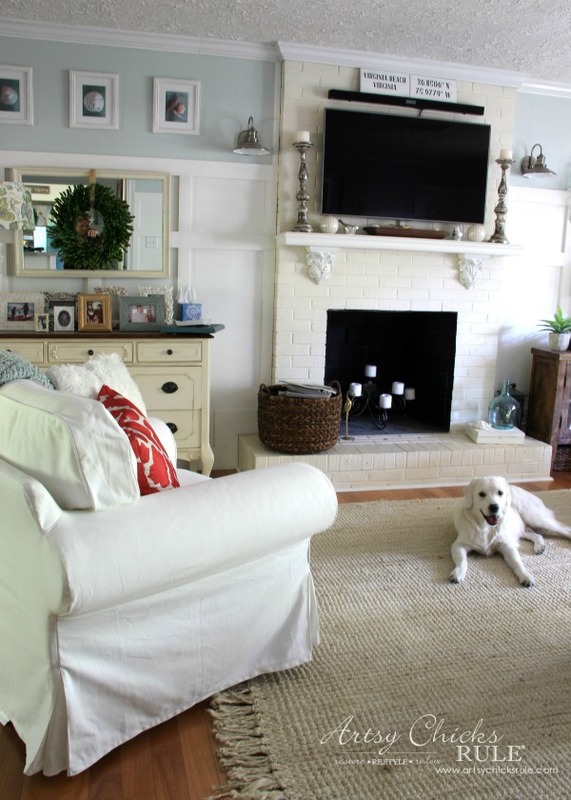 Smaller in that I was so tired of having an over cramped, overfilled family room. 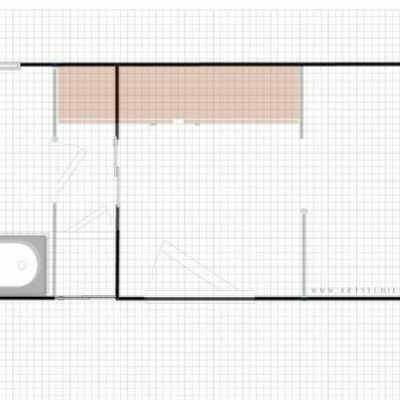 This room is such an odd shape and not really easy to arrange things because of the narrowness of it and door openings. It’s the reason we finally went ahead and attached the TV over the fireplace. Not my optimal place to have it but I needed room in here for furniture, etc. Instead of forcing another large couch along that empty wall there, we opted for the love seat instead. I also have to tell you, when the boxes arrived, I was a bit intimidated. BUT it was an absolute breeze. Not even kidding. Just take a look at the photo above and you will see that! And eek, it looked so low to the ground ….and small. I threw all the slip covers in the wash and then we put them on while they were still damp. The damper the were, the easier they went on actually. I considered adding a second love seat in this spot…. But it’s tight there too, so I went with a chair. It usually stays with this chair in the corner….. But we want to be able to slide it about. I’m going to get the tiny sliders (that you won’t see) and glue them to the bottom permanently. I may sell the dresser and mirror behind this chair. I have another small dresser that I’ve been wanting to turn into a “card catalog/apothecary” style cabinet for awhile now. I may do that and use it in that spot instead. Anyway, I just love it! And I adore how open and non cramped the space seems now. So, what do you think about the IKEA Ektorp makeover? Or the new paint color? Especially compared to the other I had in here? I think it makes the space feel soothing and relaxed. The other color was a “happy” color for sure though. 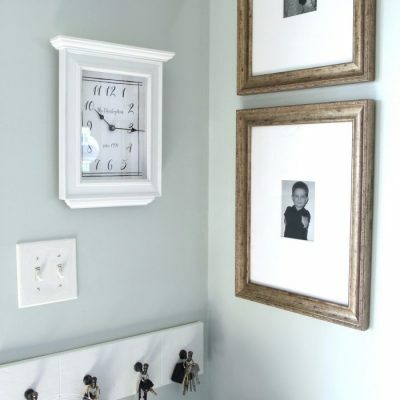 I’m planning to build an “antique, weathered” ladder to go where the blue framed mirror is. The mirror will come down and hopefully I can find another place for it. I love that $6 thrifty antique mirror. 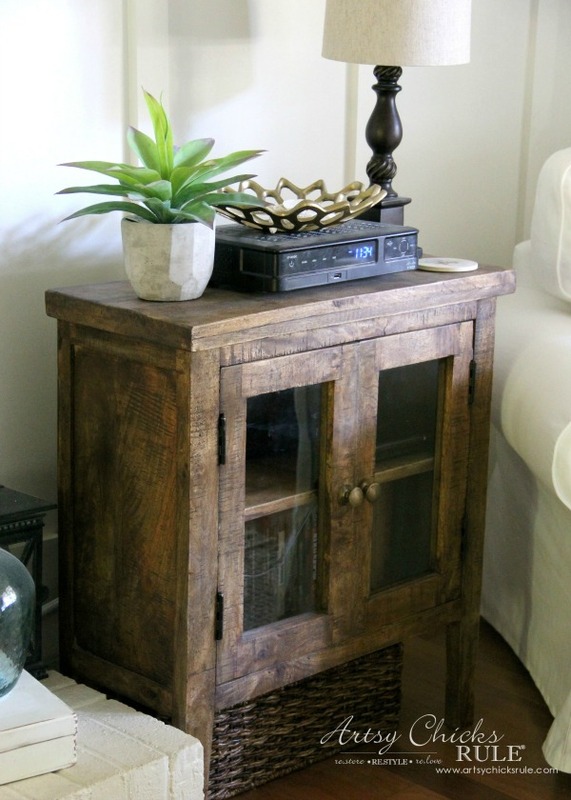 You might have noticed, the little French cabinet is gone, and in it’s place is this little lovely from TJ Maxx…. 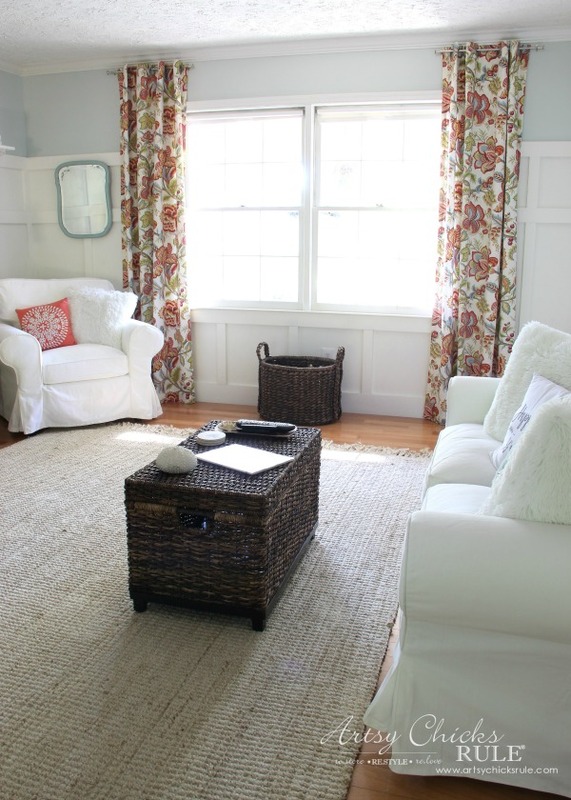 I wanted to soften this room and make it less busy (minus the curtains, of course ;) ). I felt like there was too much going on, too many colors, etc. It was just time for a change. I also wanted/needed to change out the large coffee table I had here. It wouldn’t really fit will with the new ottoman. However, I don’t think it’s on sale any longer but still not a bad deal. 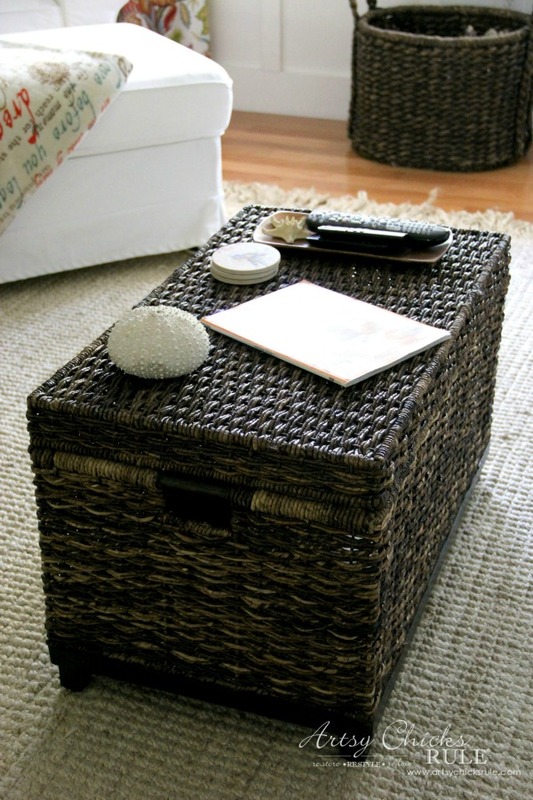 I love extra storage and the ottoman plus this basket trunk both provide it! I’m really very happy with the new IKEA Ektorp Makeover!! It really brightens up this space. And the love seat looks bigger with all the cushions on, thank goodness. I’m making two side tables for each side of the love seat. Something I’ve not been able to have before in this space. Well, that’s what I’m making. Old picture frames -turned tiled trays attached to a bottom wood end table frame my husband and I are building. If they do, then I’ll place lamps on each side of the love seat. 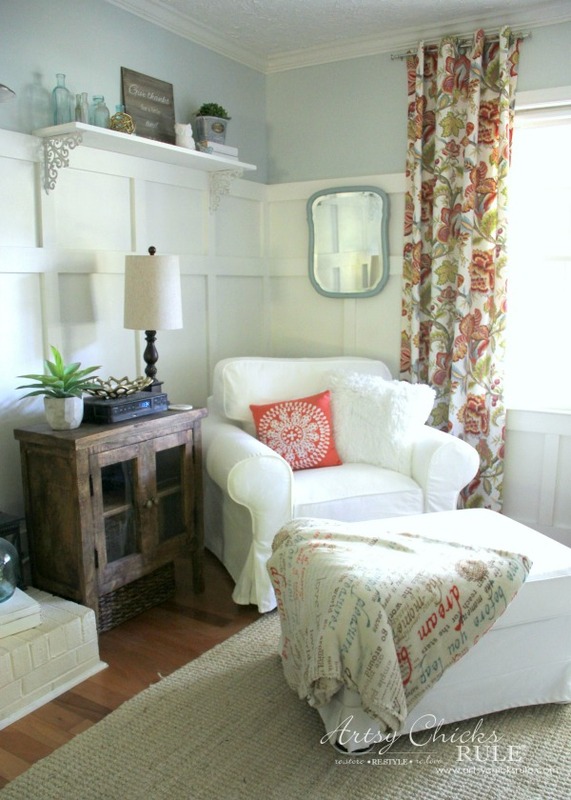 Another reason for the love seat, I wanted to leave room for pretty side tables and lamps. It feels so relaxing in this room now. I love that I feel like I can breathe….and not feel all cramped in anymore. And best of all, it didn’t break the bank! Everything was so affordable. 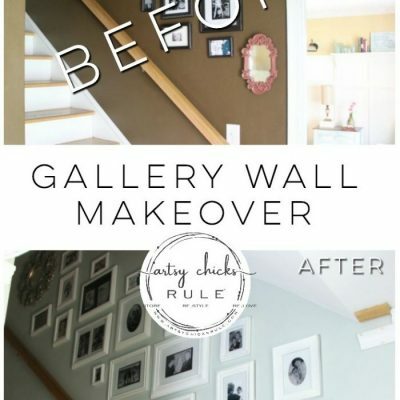 Be sure to PIN this for later so you can maybe do an IKEA Ektorp Makeover too! repaint my >> kitchen cabinets…again…to a bright white. new light fixtures over the island, possible one hanging over sink now, unsure. 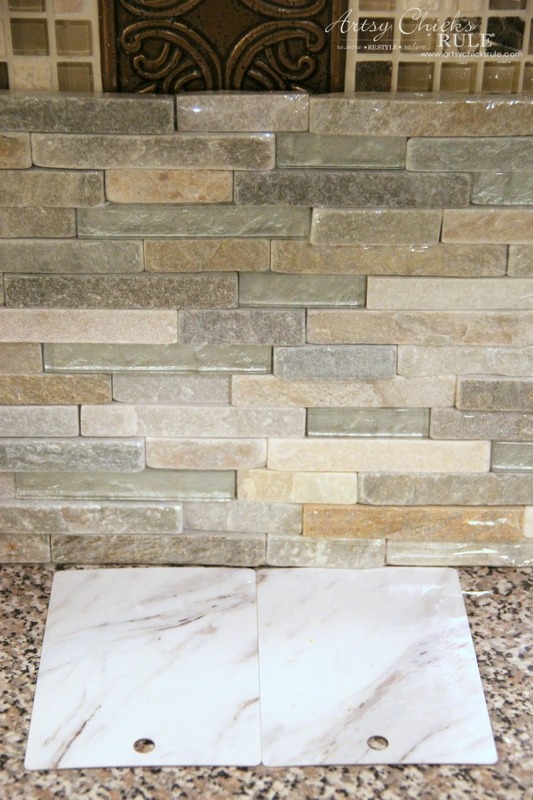 And the counter top color…. It’s going to really brighten up this kitchen. I’m excited! Looks beautiful. I love the style. I hate to be the bearer of bad news, but IKEA furniture is disposable furniture. Not made to last. I can understand you wanting to change from the leather couch because of the style. Certainly, this ‘looks’ beautiful. But I hope it lasts more than a few year for you to enjoy. Beautiful decor. Thank you Cheryl!I know of quite a few people that have had them for more than a few years so hoping I have the same! :)They do seem well built! You did a superb job with the room.. and adding the white dog just nails it. :) keep it coming. I have the Ektorp love seat and 2 chairs and LOVE them!!! Have had them for years!!! (Have the white covers too!) love that they have other colors available too! Great choice! Room looks awesome!!! Thanks Anne! :) We broke the boxes down the same day we put this room together. My best guess is around 87 x 35. It was a good sized box! 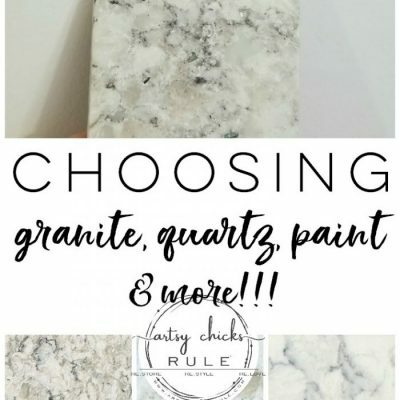 Sea Salt is one of the paint colors on my list for our new home we will soon be building. I love the new furniture. 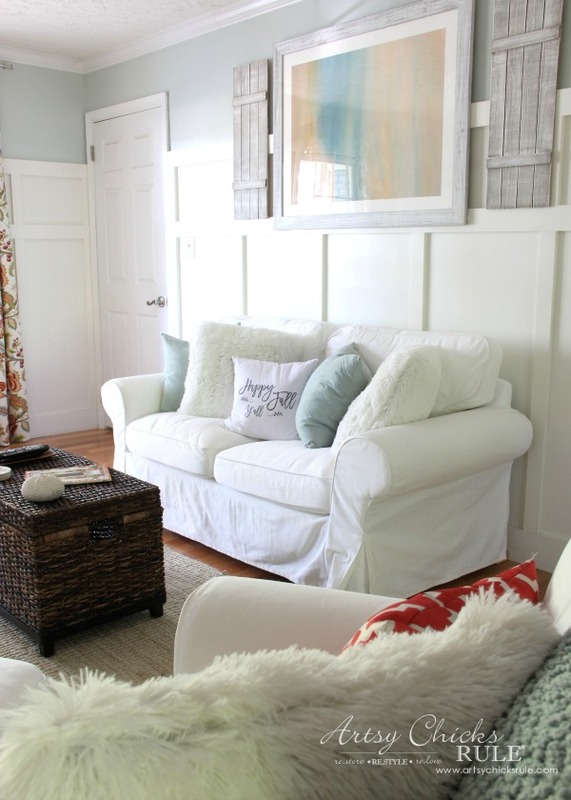 Are you concerned at all about covering the return vent with the loveseat? My husband never lets me put furniture in front of the return because he says it needs to be open. Hi, I have the IKEA Ektorph sofa & chair. Love It! Very easy to assemble. I have the gray slipcovers, but unfortunately they have to be dry cleaned. I’m wanting to get the white slipcovers. I think there are 2 different whites. Which one is yours? I don’t have an IKEA in my area yet, but they are building one about 70 miles from me. YEAH. The closest one to me is in Ohio. I had to order my sofa & shipping cost (coming from the Maryland warehouse) was $129.00 which I thought was very reasonable. When I decided to order the chair, I thought it would be less than the sofa. I was in for a shock. 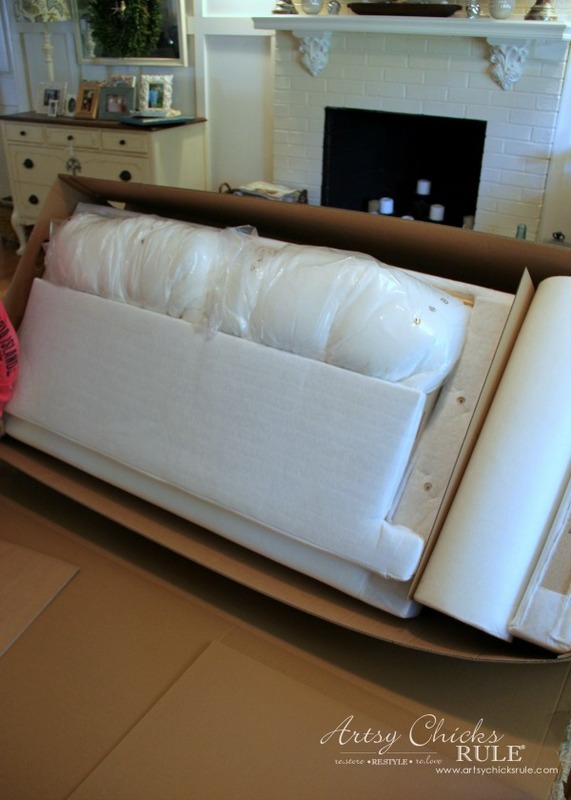 Shipping cost had just about tripled, due to IKEA changing shipping companies. Outrageous!!! I have a friend who lives n Michigan with an IKEA 10 mi from her home. She got the chair, we picked a half way destination, met for lunch and I got my chair. Oh nice, Ellen! I love it too. :) Oh yes, so much easier to assemble than I thought it would be! The white ones were really easy to wash and put on. OH my, we paid $99 shipping total for the entire set we bought. I thought that was very reasonable. I think there is only one white available now….the Vittaryd White. The closest IKEA to us is 3 hours but we are getting one here now. It won’t open until 2018 though! Smart to arrange it how you did! I WISH I could get that sofa, but with shedding, and sometimes dirty, bulldogs, I don’t think it would be practical. It looks lovely in your space. I think you should keep the rug. The color and texture looks really nice. The only thing I would possibly change is the coffee table. I could see a longer, lower wood one with chippy paint in there, or maybe even lighten the basket-type one you currently have. Oh yes, I worry a bit but so far so good! :) It seems to clean up pretty easily also. Thanks for the input on the rug. I do like it…still undecided. Lovely job, with pets and kids you will be washing those slip covers constantly. I had two white side chairs that i sadly had to dispose of because they were continually getting soiled and they reached the point of uncleanable. Love your curtain fabric. Wondering how comfortable that loveseat is? I love it! I am a big time Ektorp fan. I have the chair and ottoman, the (now retired) rocker, and the sectional all in my office. I got each of my Ektorp pieces separately off of Craigslist…I even had a “Wanted: Ektorp” post up for a long time…I did get the ottoman new though. I think I spent a total of $650 for all of it over time. It’s very easy to stop working and climb into one of these comfy pieces. I have to disagree with the comment above that IKEA is disposable furniture. That may be true with their casegoods, but I’ve never had a problem with their upholstery pieces. It’s beautiful, transitional, and best part: washable! Good to know. Thank You ! I really like the style of the Ektorp. My friensd recently bought the sofa, It was very comfortable. Beautiful!! I love how peaceful and inviting it is. The paint color is wonderful. Love it all! 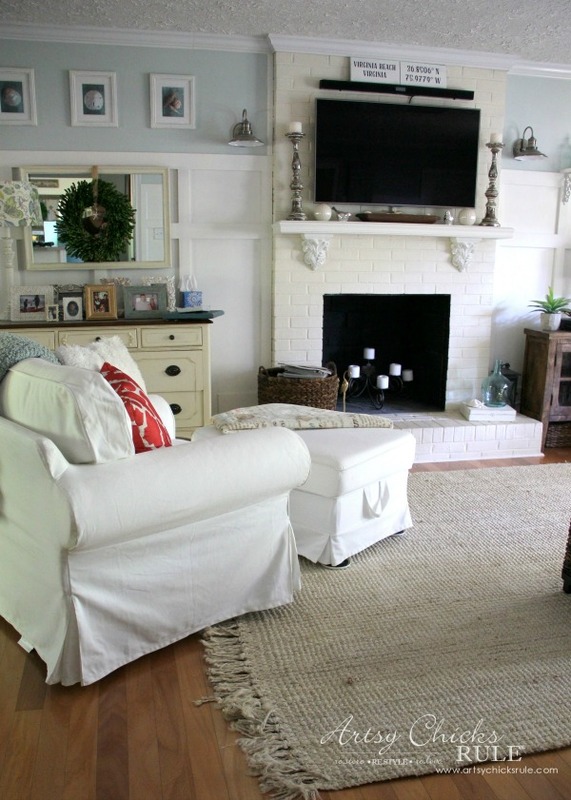 Keep the jute rug ..it looks so natural and blends in nicely with your new style. I don t care for the Moroccan wooI have seen that pattern an similar ones to death! Yes , keep the curtains I love the colors in them. Nancy- you said you washed the skip covers and then put them on damp. Did you put them in the dryer at all? Yep, I put them in the dryer to take the wetness out but removed them when they were still damp. The ones that had dried a bit more past damp were a bit harder to get on. The more damp, the better. IKEA Ektorp huh! The reason I asked about your slipcovers on Instagram is because I have a similar chair in my living room (not IKEA) and think your slipcovers might fit. Hmmm, going to take some measurements and head over to IKEA to check it out. Your living room looks great, Nancy! Love the bright and airy feel. It looks beautiful!! Love the paint color and the new furniture. Can’t believe the change from the before. I would keep the current rug. 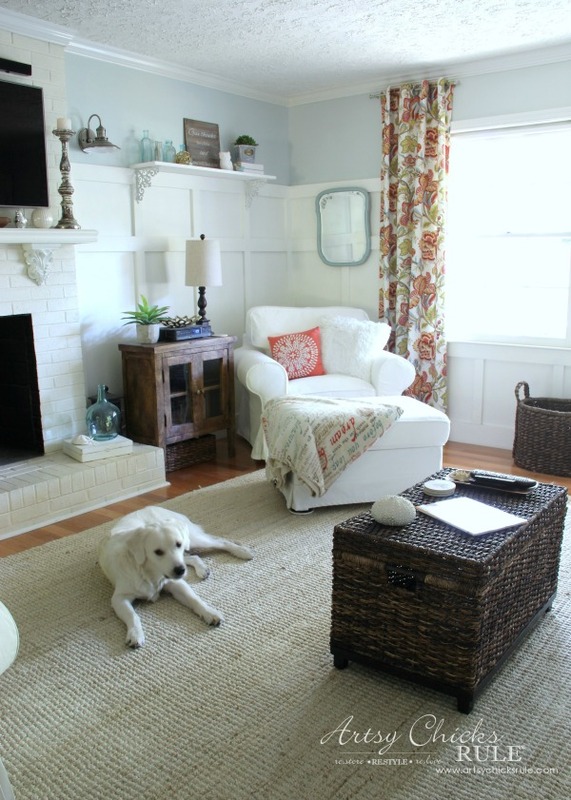 It seems everyone has the run you are looking at and I think the current rug goes with the coastal feel of the room. Your drapes are to die for!!! Thanks Alice! :) The throw over the ottoman is actually from Better Homes and Gardens Walmart line. It is probably the softest throw I have. Love it! The script and colors are what drew it to me too! I LOVE the new look and I think you should definitely go for the Moroccan Wool Rug! It’s gorgeous!! Love the new update, curtains are so pretty and the white upholstery and sea salt paint color are a dream. Love your style. 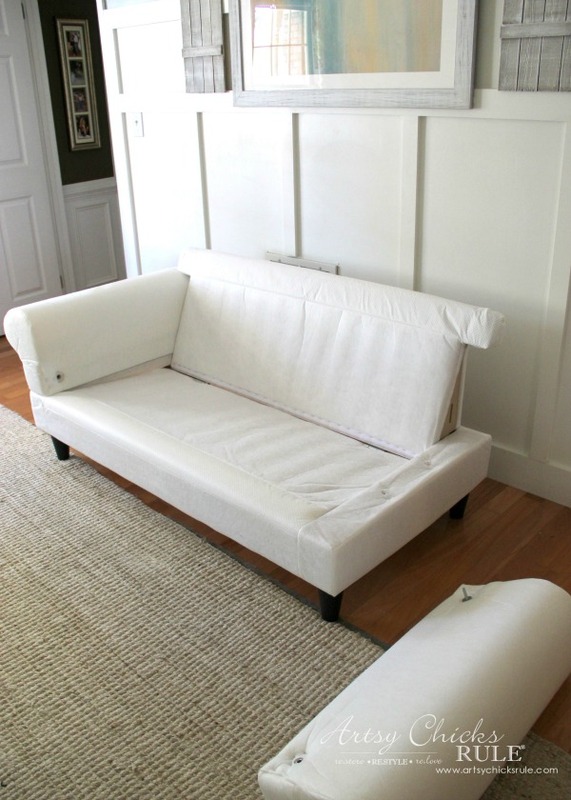 My daughter has the Ektorp sofa and love seat with white slipcovers too, she loves them and they wash up wonderfully. floor finish hold up well on your cabinets? Will you use that this time and just change the color ? I want to paint my cabinets white and I know it’s a big job so I want to do it right. I would really appreciate your thoughts on the type of paint to use. I will be using another paint this time. Probably General Finishes Milk Paint. (which is not like typical milk paint actually, the name is a bit confusing) I just used it on my dining room furniture and it turned out great. I will be sharing that on the blog next month. Keep an eye out for it. It’s exactly what I’ll be using in the kitchen. The ASCP and Varathane held up wonderfully actually. I did notice a tad bit of yellowing though so that is the reason for the repaint. I am going all bright white this time with GF’s sealer. If going with a color other than white, I’d say use the ASCP and Varathane. It is rock solid. It all looks great Nancy! Colors are lovely….tranquil and coastal. Love your new sofa, chair and ottoman! Thank you, we are really enjoying it. Now I can’t wait to get moving on the kitchen! 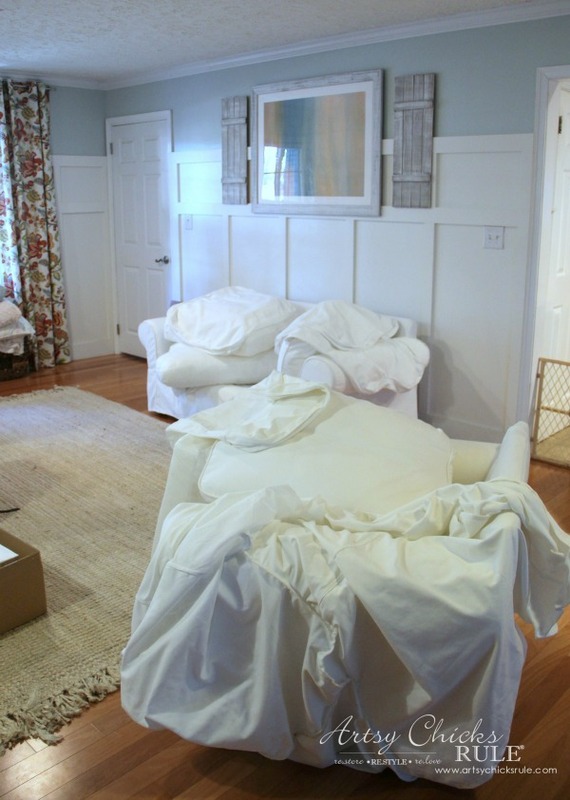 Second, I am in love with your new white slip covered furniture. 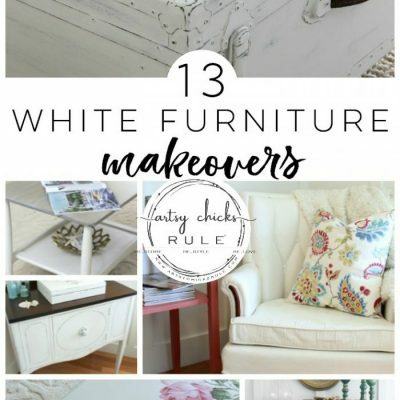 I’m not sure how you talked the hubby into it, but you need to teach me how to do it, because I don’t think I could EVER convince my husband to go with white furniture…. mostly because of the dogs. And it wouldn’t matter that the covers could be washed…. Third, the kitchen…. I love the new design! 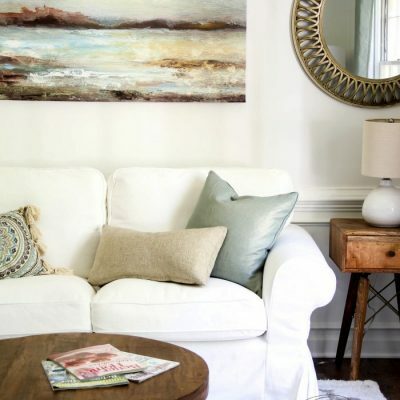 It will look fabulous and light and yet still neutral (there’s my favorite word again!). You have picked some gorgeous materials and it will come together beautifully, I am sure. I’m anxious to see it all completed! I can NOT (not,not, not!!) wait to get the kitchen done! So excited to see it all. Light bright airy and updated. 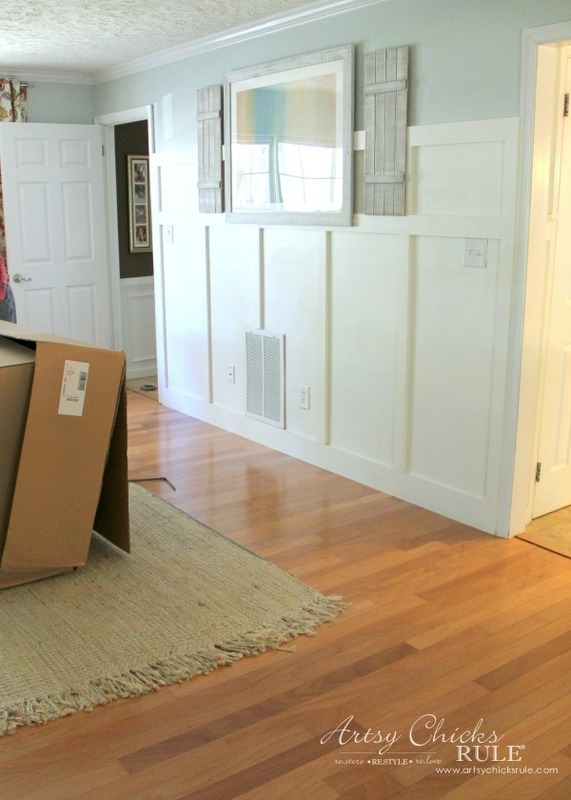 Congrats on getting your slip covered furniture!! 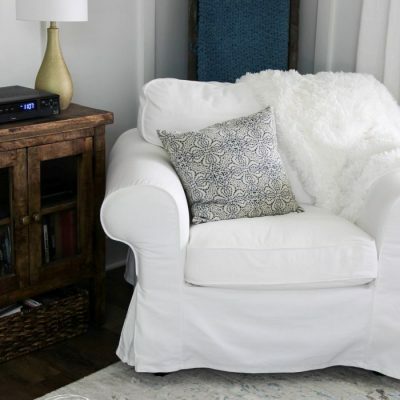 The new love seat looks great in your space and makes the room look so much larger. We desperately need two new sofas and I’m glad to hear that you’ve been pleased with your Ektorp. That’s one that I’m considering but we need to get to an Ikea to sit on one to make sure.